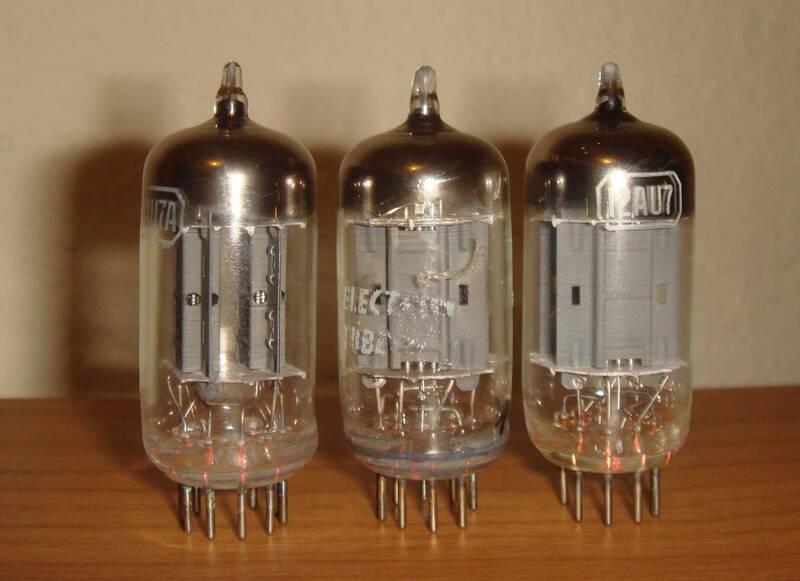 This entry was posted in Vacuum Tubes and tagged 12au7/ECC82, RCA by tubemaze. Bookmark the permalink. No the third tube didn’t sound any different than the first one, although I really wanted it to sound different due to its unique design 🙂 1 and 3 had great bass and good HF extension. Overall very balanced. 1 has very nice, as good HF extension as the other tubes, but much smoother with MF and bigger sound stage. Instruments came through much more musical. I prefer this tube much more – this one is practically a replica of RCA 12au7 black plates with with more gentle nature. The more I’m listening to these tubes the more I like them. They have an incredible gentleness to them. Listening to Melody Gardot with these tubes is just absolute pleasure. Compared to black plates, they don’t overpower nuances of music with heavy bass – which is great in some cases, but destroys balance in other.